If you're one of those who like to have a bit of variety in the garden, or someone who simply can't make the choice out of all the great seeds we have to offer, we've created the indoor-mix especially for you. 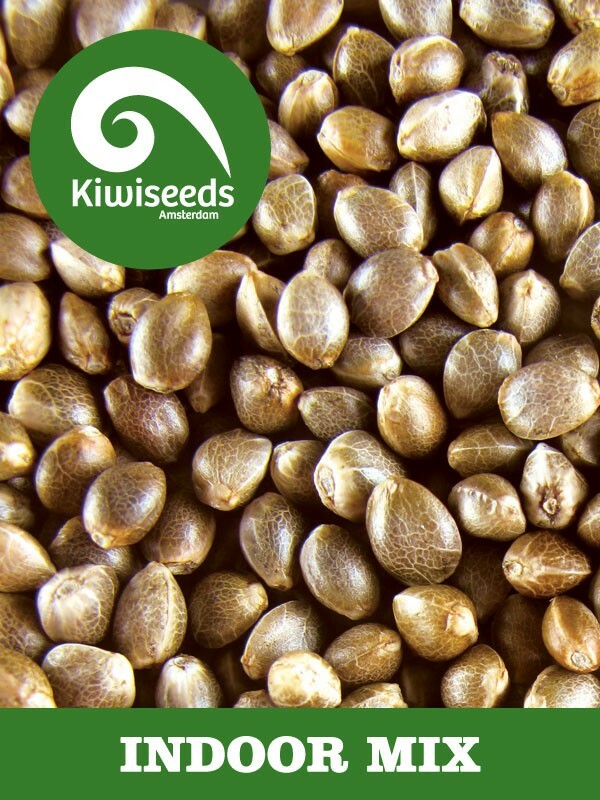 A carefully picked selection of seeds from Kiwiseeds best indoor varieties including ‘Milky way’, ‘White Island’, Kiwiskunk, ‘Cloud 9’ & ‘Mt Cook’. Plants for growing indoors are chosen for their short growth habit, their short flowering times, and heavy T.H.C production. Expect plenty of sweet fruity buds, loaded with snowy crystals! Now available, the best of these genetics in Regular seeds, what better way to make the ideal strain than breeding the best of the best into your favourite variety? That is now possible thanks to our strains being available in Regular seeds too! If you're one of those who like to have a bit of variety in the garden, or someone who simply can't make the choice out of all the great seeds we have to offer, we've created the indoor-mix especially for you.